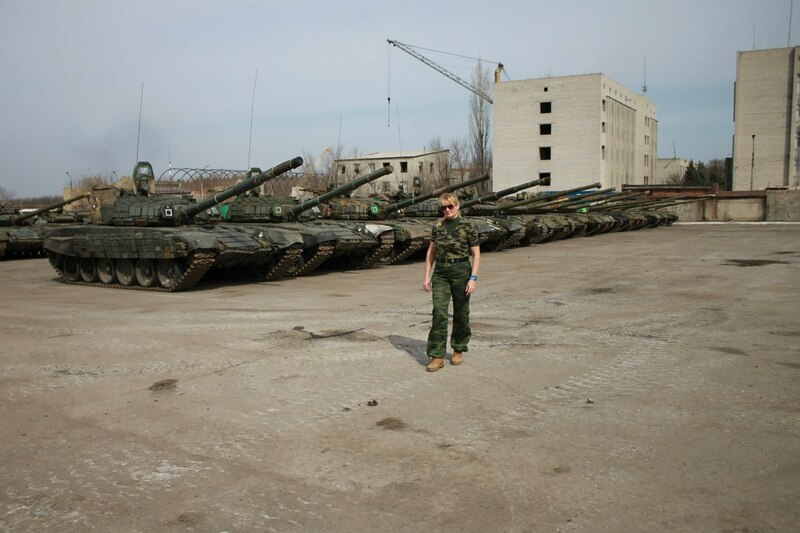 Confirmed location of over dozen tanks on Russian base in Lugansk, Ukraine. 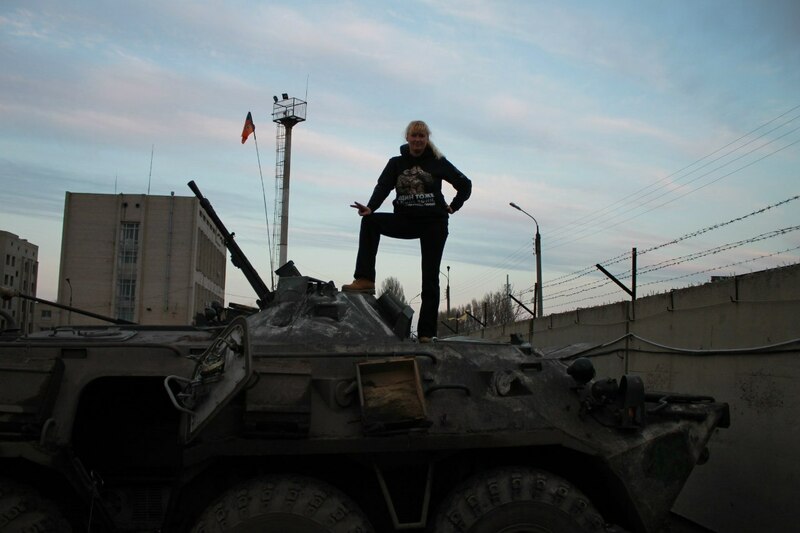 Originally these photos were posted by Olga Zakhran, here is her page on VK.com https://vk.com/id184031776 and some info about her on Security Service of Ukraine site here https://psb4ukr.org/criminal/zaxran-olga-nikolaevna/ This woman now lives in Sochi, Russian Federation, where she openly collects money for different terrorist groups active in Lugansk Region. Previously Olga Zakhran used to live in Krasniy Luch, small city not far from Lugansk controlled by so-called Lugansk People’s Republic. 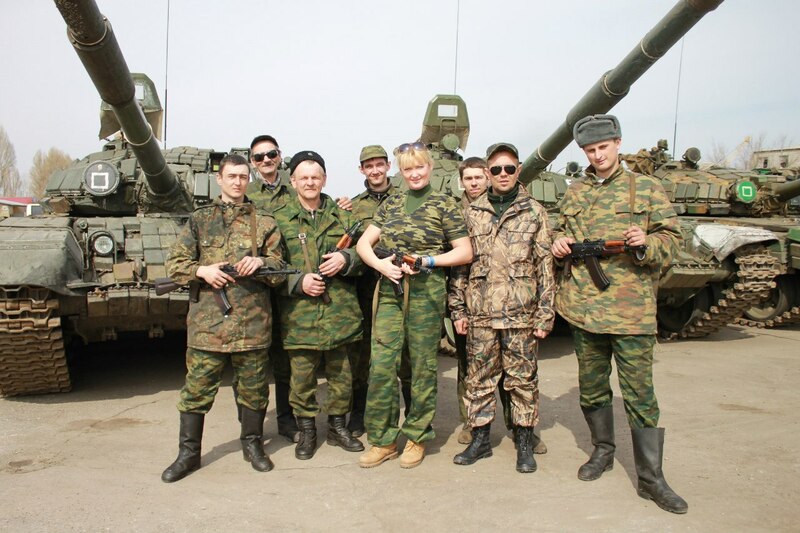 Every time she comes to Lugansk she posts a report. 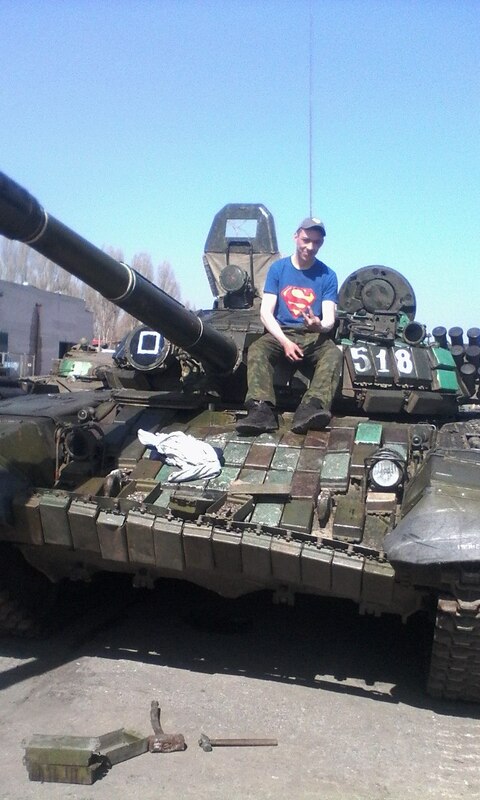 Another person Max Govorov who is a member of “Avgust” terrorist group have just added new photo on his social profile at https://vk.com/id37302618 yesterday on April 12 2015. Photo is taken at the same place with geo-location at Hastello St. 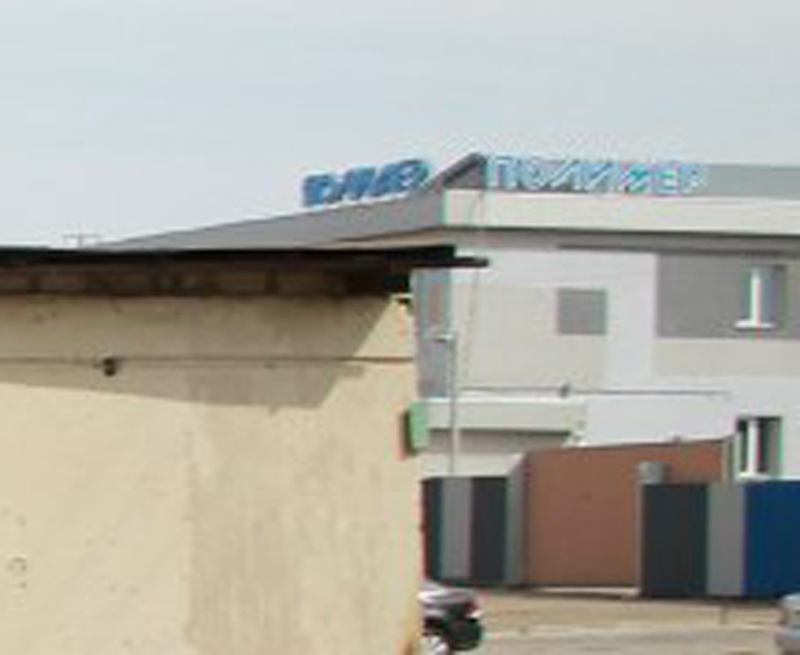 This Russian base is located on the territory of “Transpele” transportation company on Hastello St., details were in the report on BPM-97 “Vystrel” mentioned above. Take a closer look at the blue sign on the factory seen in background. 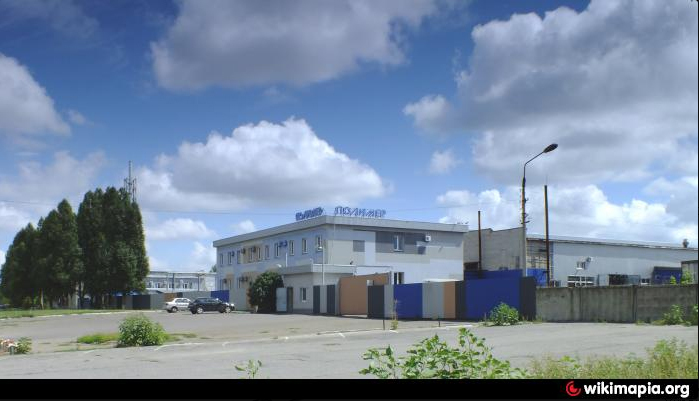 The photo of this factory taken exactly from the same angle can be found on wikimapia.org here is a link and a photo posted there. 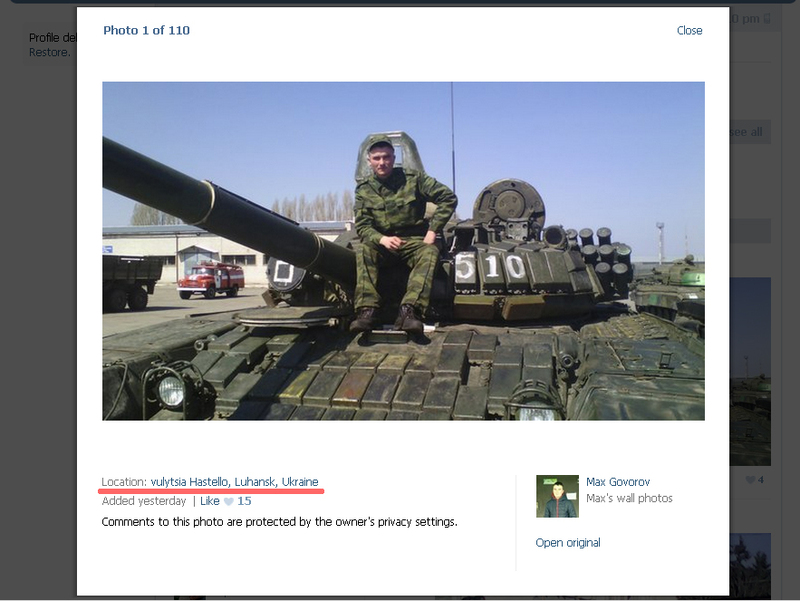 The photo of Olga Zakhran with APC was taken exactly at these coordinates 48.537129, 39.357214. 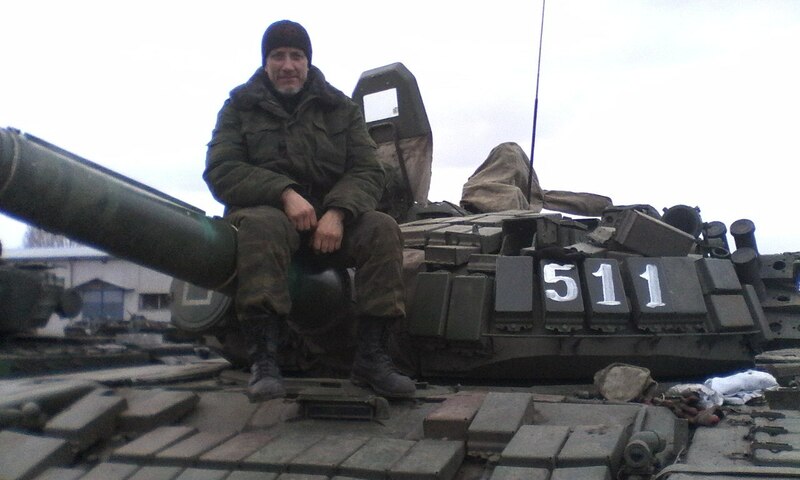 The APC is standing on the road at the entrance to “Transpele” parking lot where tanks are located. Obviously APC is securing the entrance to the base. So we marked on the map the location of “Polimer” factory, APC at the entrance to “Transpele” parking lot and location of 2 rows of tanks, there can be over 20 of them there, and 2 tall buildings you can see in the photos. 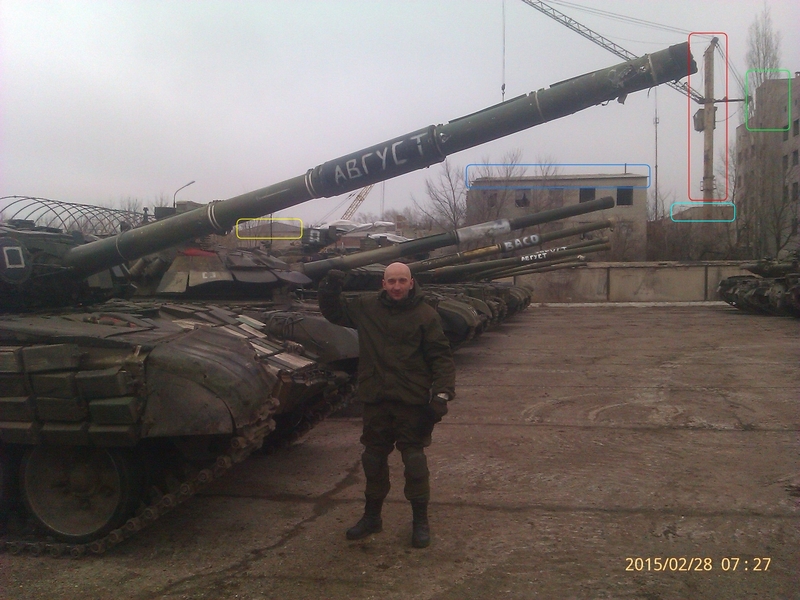 The second row of tanks can be seen on the photo dated Feb 28 2015 posted at informnapalm.org The photo was takes at the same place and you can see few tanks from the 1st row, so these tanks are there for over a month already. And below are just more recent photos from this terrorist base. 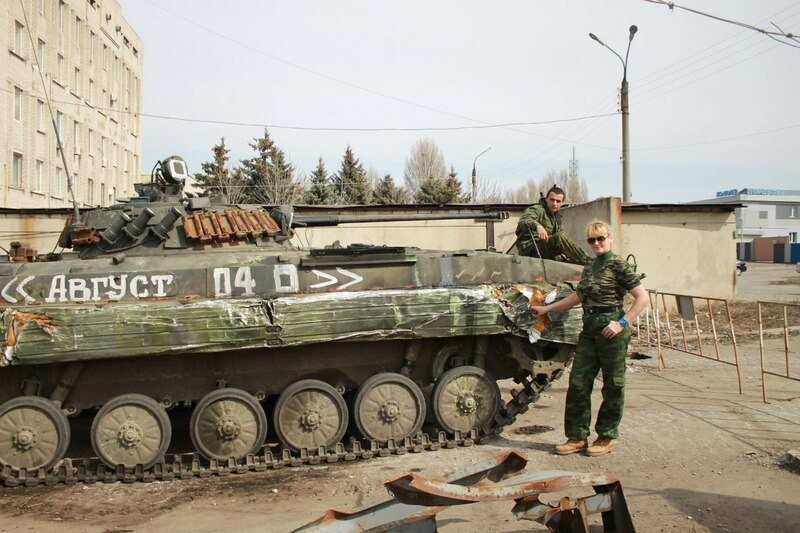 Special thanks to informnapalm.org for their contribution and their post covering these tanks, you can read their report here.